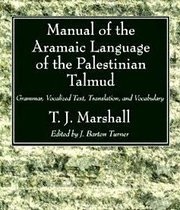 very few of the Jewish people knew how to recognize the destructive potential of the sudden formation of a "Palestinian Arab nation". And will be Wise enough to understand how to bring themselves to a better safe and harmonious reality. Anyone Who did not like this, Please feel free to close the page, say some form of a "compliment" and stop reading. Anyone who wants a solution to Israel's security problem, please read on. One of the early patriots and a pioneer in identifying the lie, was honorable late Mr. Tsafrir Ronen. Those who know the person (who died tragically and somewhat mysterious) certainly read most / all of his writings. I will not repeat them here - they are accessible to all searchers, across the Internet Web. Recently I was surprised that, it was someone who was identifying himself as a left-wing, That amazed to warn us from The Jewish recognition of an "Arab Palestinian nation". "Arabs are cultivating separate Palestinian nationalism and the myth of the ' return of the Palestinian nation rights' - in the territory of Israel and in its place. prosecution is intended to cancel the existence of Israel state and not to live aside her in peace. It Is the most pointed expression for the lack of readiness of all Arab states to recognize the legitimate existence of the Jewish State." New York Middle east Institute (Aimed to rescuing Israel from the false status of the 'illegal occupier'), warns us as well, but unlike (and perhaps complementary) to Mr. Alterman and Mr. Ronen, it also supplies the entire depth of truth and most importantly - a solution. Late Tsafrir Ronen had the brains to use the David and Goliath metaphor. - The Arabs, who want the Middle East for themselves, are the giant Goliath, and Israel (A match inside a football stadium) is little David. And thus turn from an occupying huge bulldozer that is not "entitled" to the mercy and assistance of the world, into a "weak and frightened poor nation who was expelled from its home by a brutal Zionist occupier" - meaning little David against Goliath the giant - Israel the "occupier". By the way - this is not the only astrategic tactic the British has taught the Arabs! David and Goliath parable effectively and succinctly summarizes the ex nihilo creation of a "Palestinian Arab nation". Kabbalah ('Talmud Eser Sefirot') defines the "prescient smart man" As someone who can identify the descending consequences of any action. * First Jews who began referring the Arabs as "Palestinians", are responsible for the loss of private land owned by Jews, delivered to the Arab enemy. Or traitors that for prestigious world wide Diplomas (with benefits and rewards all together) sacrificed on the altar, many Jews and many Jewish lands. the Arab conquest of the Land of Israel and in acceptance of all the sympathy and assistance from (almost) the whole world. There is a Common phenomenon that many patriotic citizens write articles and publish an "explanation" videos, while in practice they are only helping the Arabs in their conquest journey by keep to calling the Arabs - Palestinian. They can tell how bad the 'Palestinians' are, where they came from, and what their real numbers are - but they still call them Palestinians. As a fact, in practice - they help Europeans anti-Semites ("brains" behind the Arabs) and The Arabs, and do the job for them. Even the few who talk about The bluff, do not supply a solution! Assuming that we deeply comprehended the destructive potential of the brand "Palestinians" which is used by the Arabs - how do we solve this problem? After all, Tsafrir Ronen and some true "truth pioneers" did not supply a solution to us, and the Muslim conquest wheel continues to roll. Time does not play for our benefit. * Please remember the New Israel Fund (and over one hundred of its sub-organizations as 'BTzelem', 'New Profile', 'Machsomwatch', 'zochrot','yozmot keren abraham', 'Yesh gvul', 'Yesh Din ... ) which act only to strengthen the "occupation" narrative and revoke all Jewish characteristics ("pluralism") from The Jewish Land. * Please remember the European calls for (especially anti-Semitic Catherine Ashton and British Prime Minister and of course the United Nations) division and dismantling the Jewish state. * Please remember that the British declared An Arab sovereignty over East Jerusalem - which for some reason Jews ignore and do not know this declaration is a violation of the UN Charter itself. * Please keep in mind the pending lawsuits against Israeli leaders and army generals. * Please remember the boycotts, condemnations, the establishment of committees and a sweeping global ostracism which begins in the EU - Britain at the top. - How do we take the name / brand "Palestinians" from the Arabs ? - How do we pull this weapon (The brand) from under the Arabs feet? You can never take people's, group's, organization's name / brand - unless it is already taken and you can prove it! The only way to take the ultimate weapon for Israel conquering (the brand / name "Palestinians") from the Arabs, is proving that we are its original owners. Some readers already know the fact that, some stupid Idiot Jews from recent past (or traitors), abandoned the Jewish brand - 'Palestinian'. Ego And high Jewish pride caused it, And as we know, ego comes at the expense of intelligence. The less humble and modest a person is - he boasts a higher ego, and inflated and pompous ego caused the Jew to abandon his most important asset he has - the brand 'Palestinians'. Some Jews believed it's probably for the best, but they did not know how to anticipate the outcome of the result of this action. And So - the brand has become available and the Arabs are using it today. An Identity theft was created here, which is grounds for legal prosecution for identity theft is a criminal crime in every aspect. And so, dear Jews, the only way to take the ultimate weapon away from the Arabs - is by officially prooving That the brand belongs to us and owned by us. Only an international criminal lawsuit against the Arabs criminal crime, will take the right to use brand away from The Arabs. Jewish people have number of brands, Palestinians is only one of them. I am not saying we should go with the signs "I am a Palestinian Jew"
I do argue that we MUST (a matter of life and death) immediately pull The brand out of the hands of the Arabs! - Palestinians are US, and Jewish land Which were stolen by an illegal criminal act of the British, MUST be restored to its lawful owners - The Jewish people. Most of us already know the famous quotes captured Arab leaders saying "There is no Palestinian nation". We feel helpless - they admit that and no one ever refers to it? What most of us (almost all) do not know Is a contract document which was signed by the representative and leader of the Arabs, which is a black and white proof for the Arabs referring to themselves as an Arab entity - not as a 'Palestinian' Arab entity. Three weeks after signing The Treaty, It got the ratification of the League of Nations (including the Ottoman Empire), in The the presence of Arab delegations. Arabs recognize the existing rights of Jewish people to their homeland. Arabs encouraged Jewish emigration to Palestine. And This until the British intervened and began their beloved 'divide and conquer' doctrine. Arab-Jewish treaty is the most important asset to Jewish people - more than a military base and more Than any bank safe deposit box. Besides being a signed proof to any of the above, it is a 'BRAKING BLOCKING stick' to the UN anti-Semites wheels, and makes the UN calls for dividing Jerusalem to be illegal and invalid - Please refer to Article 80, Chapter 12 of the UN Charter. Anti-Semites did their best to spread the false information (the "disinformation"), That Arab-Jewish treaty is insignificant, invalid. Of course - with the assistance of "paid professionals" Jewish traitors. 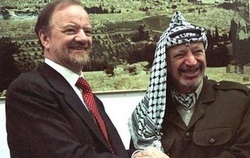 Its name was changed to 'Faisal Weizmann Agreement', and a variety of rubbish that are 'grounds for cancellation of the agreement' were distributed. "Faisal had no authority to give the Jewish people nothing, so the agreement is invalid". Iif the argument is that the Jews "received" something from someone (British, UN, Faisal, Balfour or anyone else), it is just to present the Jews as "Zionists conquerors" who "recieved" Arab lands - which makes us The conquerors that dispossessed "A Poor nation" from his homeland. The Jewish people have never recieved anything - only the recognition of their existing rights (!) over the promised land. The emphasis is on the word 'existing'! Remember that until your last living day. We MUST (it is a matter of life and death) immediately pull the brand 'Palestinians' out of the Arabs control, and the only way to get a name / brand out of any entity - is by proving that it already belongs to somebody else.